The therapy could also prevent scarring of the skeletal muscles we use to move our arms and legs, a cause of long-term disabilities. The treatment works by targeting molecules on the surface of scar-forming cells, called alpha V integrins. 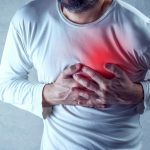 A research team, led by the University of Edinburgh, found that blocking these molecules with a new experimental drug helped to reduce scarring following heart or skeletal muscle injury. The treatment works even when the muscle scarring process has already started, the research with mice found. 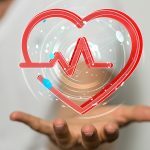 The next step will be to test the drug in clinical trials with people to check whether it can help to reduce scarring in patients with chronic heart failure, and also patients with skeletal muscle scarring. Scarring is a natural response to tissue injury, but in excess it can stop muscles from working effectively. In many people excessive scarring – known as fibrosis – is permanent, and causes muscles to become stiff and less compliant. When fibrosis occurs in cardiac muscle during chronic heart failure, the heart muscle is less able to contract properly and pump blood around the body. The team found that scarring is initiated by cells around the lining of blood vessels, which have alpha V integrins on their surface. Lab tests on human cells of this type – called mesenchymal cells – found that blocking alpha V integrins stops them from becoming activated and blocks the scarring process. The study, published in Nature Communications, was supported by the Wellcome Trust and the British Heart Foundation. Funding was also received from the Royal College of Surgeons of Edinburgh.